Mulqueeny Eye Centers offer premier laser vision correction in St. Louis, Missouri, as well as a full range of refractive procedures, cataract surgery, and primary eye care services. Contact us today to schedule a consultation. 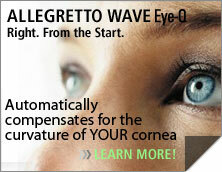 For the best eye care in the St. Louis, Missouri area, rely on Mulqueeny Eye Centers. We pride ourselves in our primary eye care including ocular disease prevention and treatment, dry eye treatment as well as routine eye care. We offer a wide range of services including laser vision correction, cataract surgery, toric and multi-focal lens implants such as Crystalens, ReZoom, ReSTOR, Tecnis and Visian ICL Implantable Contact Lens. With an experienced team of eye care professionals, a commitment to patient education and state-of-the-art technology, we stand for personalized patient care. New innovations in LASIK surgery have made laser vision correction a reality for more people, and our surgeons are constantly perfecting the techniques for delivering more stunning improvements in vision. However, the doctors at Mulqueeny Eye Centers realize that the decision to undergo laser vision correction is rarely a simple one. Many patients come to our St. Louis, Missouri office excited about the life-changing potential of laser vision correction, but apprehensive about the process. We work to make your experience as positive one by earning your trust and addressing your questions and concerns whenever they arise. A consultation begins the laser vision correction experience at Mulqueeny Eye Centers. If you are a candidate for vision correction, whether it is LASIK, PRK (ASA) or one of the variety of refractive lens implants available, Dr. Mulqueeny will answer your questions and give you an honest assessment of what you can expect from your procedure. Many of the prospective LASIK patients we see are referred to us by satisfied vision correction patients who shared their positive experiences with their family, friends and colleagues. We believe this speaks volumes about our commitment to patient care. Please remember that Laser Refractive Surgery is SURGERY, and you must consider it very seriously. Important risks to consider include dry eye conditions, halo effects, glare, ghost images or double vision, starbursts, and the possible need for glasses or contact lenses to provide you the best vision at various distances. Dr. Mulqueeny has won many prestigious awards, recently voted Optometrist of the Year 2014 by the St. Louis Optometric Society, educated other doctors throughout the world, and provides patients in and around his native St. Louis with premier eye care and refractive surgery. Sign Up Today for Special Events and Offers! Jen Sparks (Radio Personality - KHITS ) My experience at Mulqueeny Eye Centers was FUN! Joe Erker (Actor) - As an actor, I’m constantly dealing with script changes while shooting. Offering premier laser vision correction at our St. Louis, Missouri office, Mulqueeny Eye Centers also has a general eye care office in Creve Coeur. Featuring an experienced staff, advanced vision correction technology, safe and accurate treatment, and a commitment to our patients, our facility handles all types of refractive procedures.